Over at Sweet Little Pretties Lisa has asked us to share My Favourite Quote. For those moments when things aren't going quite right, this quote is a good one for knowing you can wake up the next day and try again. You might get the chance tomorrow to speak to the right person, say the right thing, be humbled, be strengthened, be uplifted, whatever, so never give up just because of one bad day, or sequence of events. 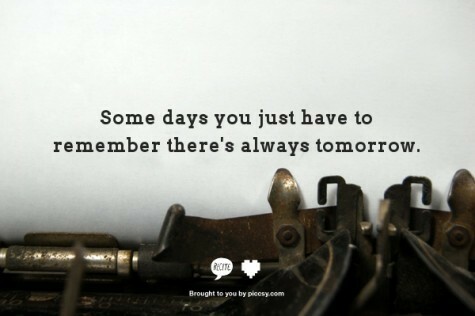 There is always another chance tomorrow. 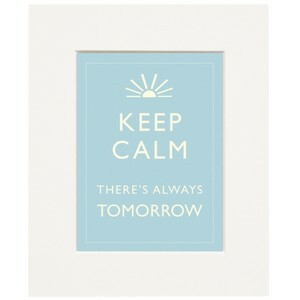 I hope, like me, this is a quote that you always keep in mind!